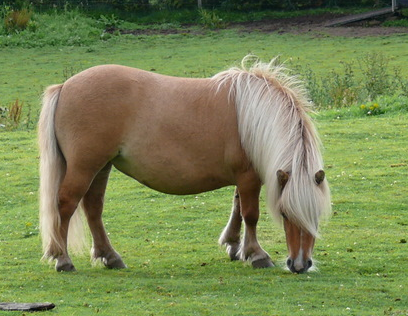 The Shetland pony is a breed of pony originating in the Shetland Isles, located northeast of mainland Scotland. They have heavy coats, short legs and are considered quite intelligent. They are a very strong breed of pony, used for riding, driving, and pack purposes.